While both of these statements are true, they fail to paint the whole picture and hide some pretty ugly truths. Yup, it’s true open source software is free, but that is hardly the point. The question is, what’s the total cost of ownership (TCO)? Let’s look at the following use case—a major nonprofit was evaluating two software applications for managing an image collection; one was open source, the other was closed source software-as-a-service (SaaS). The nonprofit wanted to implement a provider hosted / cloud based solution. The first thing the non-profit noticed is that the total cost of software + hosting + support + enhancements (components A to D) were almost the same. The dollar benefit of “free open source software” quickly disappeared as the cost of hosting, support and enhancement fees added up quickly, and in the end were essentially the same as the all-in-inclusive price of the closed source software subscription. But the big shocker was that the addition of the Software Developer to staffing meant that the Open Source option became significantly more expensive than the SaaS solution. “Why do you need a developer?” you may ask. The simple answer is that one of the key benefits of open source is that you have “access to the source code,” so that you can make enhancements, customize the software, implement bug fixes, etc. Of course, to do any of these things you need significant IT skills—this is especially true if you plan to build your own enhancements. So adding a software developer is an often overlooked part of the open source acquisition budget. The second often-cited open source key benefit is that enhancements and bug fixes come free from the community. While this is certainly the case, they may well not be the enhancements that you want. 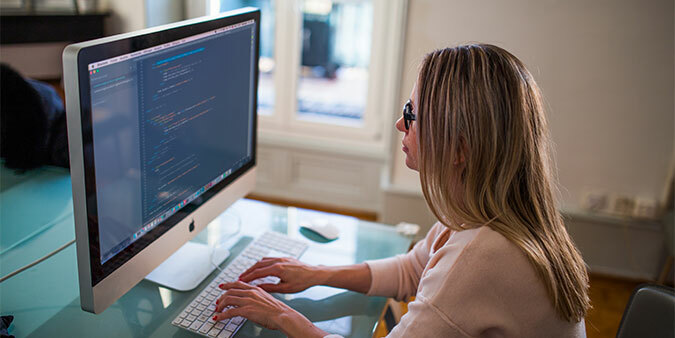 Meaning that if you need specific features, you often end up outsourcing their development or hiring a software developer, both of which are costly. But almost more important, how are feature requests handled in open source? Often this is quite murky. Since you pay no fees to the community, your voting power is limited. You can vote with your feet—but will threatening to leave motivate the open source community at large? Not likely. Because the process for requesting and receiving bug fixes and enhancements in closed source is more formal and centralized, this means you get better intelligence about when bug fixes are occurring and about what is coming in the next release, via quarterly product roadmap webinars provided by the vendor. In addition, the vendor is very motivated to understand—and respond to—what users want, because they want you to renew your subscription. In the end, the nonprofit chose the closed source SaaS subscription. They are happy and comfortable with their vendor. So the next time you look into open source, be sure you consider the total cost of ownership, not just the “free” software. Also, if you go closed source, make sure to select a vendor who listens to customers, communicates regularly, and has a product roadmap aligned with your needs. What’s your experience with open source? Let us know, via the comments box below. For more tips on successfully handling IT issues, please see my earlier post, IT Jujutsu and the Information Professional.